Today, AllSculptures.com is spotlighting our Yardbirds Metal Animal Sculptures which are created by Kentucky artist, Richard Kolb. 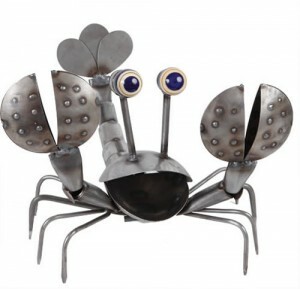 He and his father began crafting sculptures out of scrap metal materials twenty years ago just for fun. However, the reaction to them was so great that they made it into a business and have been creating much loved artwork ever since. 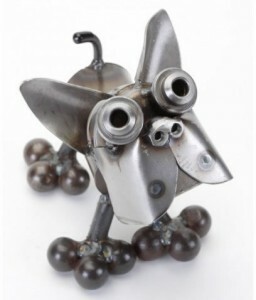 Many collectors of their work enjoy identifying the metal parts used to make each piece, which can include things such as garden tools, bike chains and car parts. They feel good that they are also helping the environment by saving various metal parts from ending up in landfills. Each piece is unique and whimsical, and most of all will make you smile! 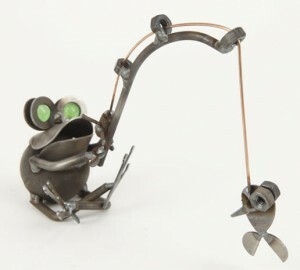 So please visit AllSculptures.com’s Yardbirds web page and see what adorable creations we have to offer. 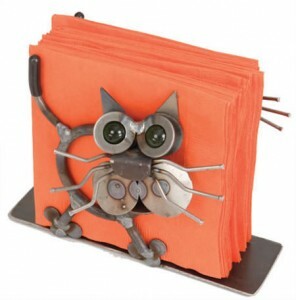 In addition to the Yardbirds sculptures, we also carry their adorable pet feeders, leash holders, wine caddies and much more! Previous PostMats Jonasson Crystal Figurines at AllSculptures.comNext PostIntroducing Murano Glass at AllSculptures.com! Introducing Murano Glass at AllSculptures.com! Dee Francis on Garden Statues for Spring!